A privately owned 17th century chateau situated at the western end of the village of Aiguines in the Provence, France in Europe. An elegant 17th century chateau in the village of Aiguines in France, Europe has a spectacular view of Lac de Sainte Croix and the Gorges du Verdon. 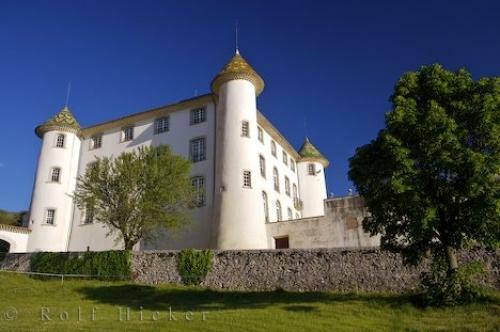 This magnificent privately owned chateau in Aiguines, France has been bought and restored four separate times with the last one being in 1989.The restored 17th centure Chateau in the Village of Aiguines, Alpes due Haute, Provence, France, Europe. Photo of a Chateau located in the village of Aiguines in the Provence, France in Europe.